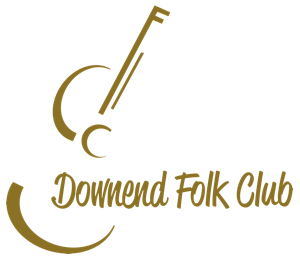 Downend Folk Club - AUTUMN/WINTER PROGRAMME 2018 REVEALED! We are thrilled to reveal the programme for Autumn/Winter 2018. There is a real blend of styles across the broader folk genre from some of the UK's leading names - there really is something for everyone - and it's rounded off by a rather special Christmas treat! Kicking off the programme on Friday 21st September, at our Frenchay Village Hall home, will be JIM CAUSLEY. During the past decade Jim has been nominated no less than six times for a BBC Radio 2 Folk Award. Opening for Jim will be singer-songwriter HANNAH WOOF. October's gig sees us back at DOWNEND SCHOOL on Friday 19th as we welcome THE LUCY WARD BAND. Lucy is an impressive, original songwriter whose unique delivery and breath-taking voice has enchanted audiences the world over. JACK HOPKINSON will get the evening underway. Our November headliners are MEGSON, at Frenchay Village Hall on Friday 16th. The husband & wife duo bring an infectious mix of heavenly vocals, lush harmonies and driving rhythmic guitars. Megson have gained fame on the British folk scene, not only for their arresting & intelligent songwriting, but for their exquisite musicianship and northern humour. Opening the evening will be the highly-rated KIRSTY MERRYN. Rounding off the programme on Friday 21st December, as we return to CHRIST CHURCH DOWNEND after their refurbishment, will be a unique collaboration between two of the UK's top acts. 'AWAKE, ARISE: A CHRISTMAS TOUR FOR OUR TIMES' sees LADY MAISERY link-up with JIMMY ALDRIDGE & SID GOLDSMITH in what promises to be a stunning evening. The five-piece will be supported by DANNY PEDLER & ROSIE BUTLER-HALL. We feel sure that you will agree that this is one of our best programmes to date. All four shows are on-sale now at MELANIE'S KITCHEN and online HERE. And we know that you're going to want to come to all four shows, so once more we've added a Season Ticket option, available online only, where you can pay for all shows in one go (and avoid those pesky booking fees at the same time! ).